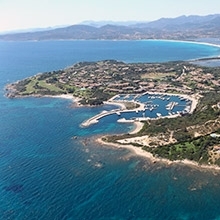 Landing in the Marina di Puntaldia means much more than just enjoying a boat mooring. For us, hospitality is about taking care of the smallest details: excellent services, professionalism and friendly staff, all making your stay unforgettable. Disabled toilet is located at Pier A. 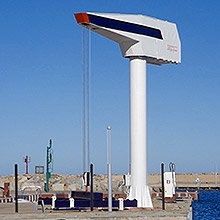 Before docking, mooring assistance should be asked by communicating with the control tower via VHF CH 9 or calling no. 0784 864590. 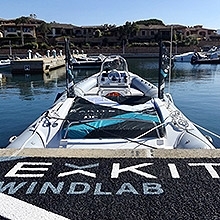 An efficient mooring assistance is always available at the dock and a dinghy is also provided, if necessary. Mooring is carried out by relieving rope and chain. 220V - 16 amp - 32 amp - 63 amp - 320V - 64 amp. Reducers are available at the Management Office by paying a deposit. The columns are equipped with a special differential switch to cut the electricity supply in the event of excessive dispersion. All berths are served by water, included in the mooring costs. In order to avoid waste, water is supplied by means of the connectors available at the Management Office. 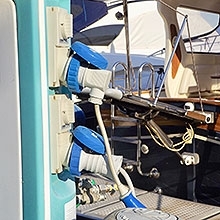 All boats should be washed with the dispensing gun that is available at the Management Office by paying a deposit. 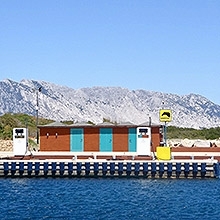 The fuel station, affiliated with "Keropetrol", is located at the entrance to the Harbor on the breakwater and provides diesel, unleaded petrol and oil. 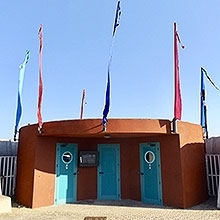 Bank cards and credit cards (Carta Si, VISA, MASTERCARD) are accepted. Cheques are not accepted. It is forbidden to refuel on land. 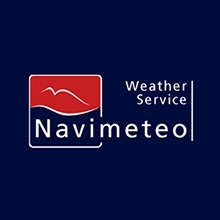 There are two Navimeteo stations, one under the Management Office and the other at Pier A in front of the services. 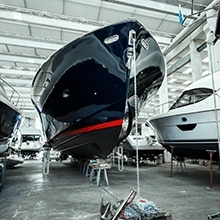 A complete garaging service is provided, including maintenance and management of boats, spare parts and accessories. 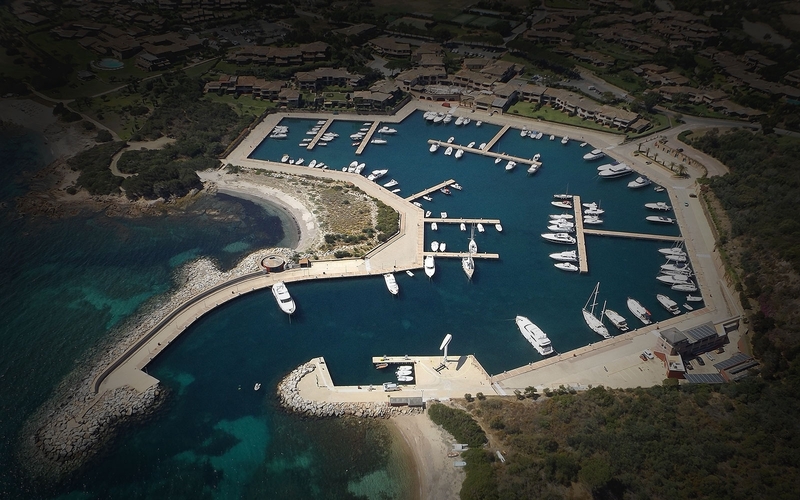 For further information, please phone this number 0789 50202 or ask under the control tower in the Nautica di Puntaldia offices. A 15 tons crane for launching and hauling is available. 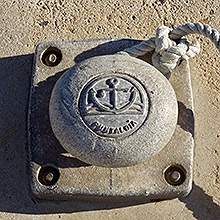 It is forbidden to drop the anchor. It is forbidden to wash cars. It is forbidden to fish, swim and discharge any solid and liquid materials into the sea. 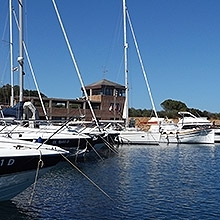 It is forbidden to carry out any commercial activities in the dock area unless expressly authorized by the Marina Management Office. 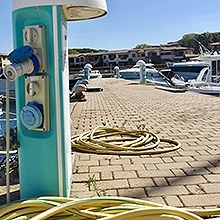 The petrol station is equipped with pump out equipment for the extraction of grey and black water and of bilge water. Batteries, filters and emulsions can also be disposed of. Please ask the Management Office. 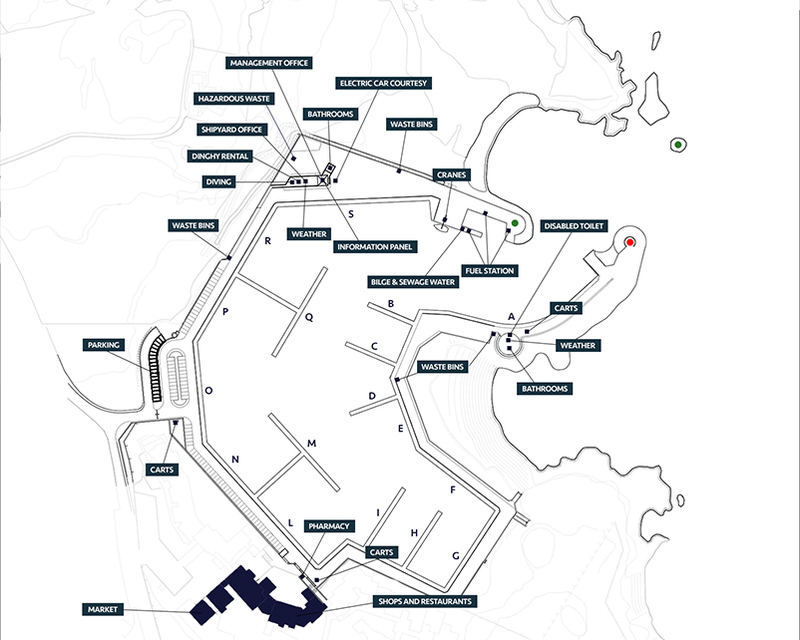 The Harbor has two areas with toilets and hot showers that are constantly monitored and cleaned by our staff; they are located at Pier A and under the control tower. 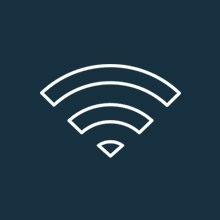 The Wi-Fi internet service is available in the whole harbor. Ask for the password at the Management Office. 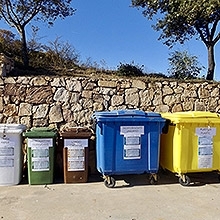 Ordinary wastes can be disposed of only if duly sorted. The recycling points are located at Pier A, Pier F, Pier R and Pier S and are open from 8.30 am to 10.30 am and from 5.00 pm to 9.00 pm. At other times wastes can be disposed of by asking for the opening of the containers via VHF CH 9, by telephone or directly to the linesmen at the docks. It is forbidden to leave rubbish outside the containers. For special needs, please contact the Management Office. 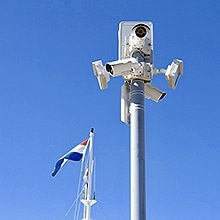 A night watchman and a widespread camera system assure a constant monitoring of all harbor areas. Discovery Diving organizes dives, snorkelling, sunset and sushi dives, underwater courses for advanced and new divers and many promotions on PADI specialities courses. Located under our offices with departure from pier S.
Sport fishing trip with different techniques, on board of a Blackfin 29, with departure from Pier N3. Under the Management Offices, Bludream rents dhingy of different sizes, with and without driver. 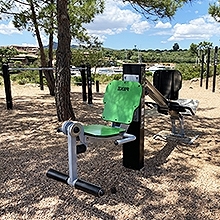 For more information, please phone 327 3293990. 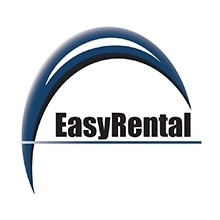 On request we provide a service of boat washing. Please ask the Management Offices: phone 0784 864590. 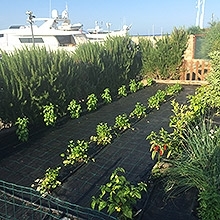 In August every morning at Marina di Puntaldia the transiting guests are presented with a free daily newspaper on board. 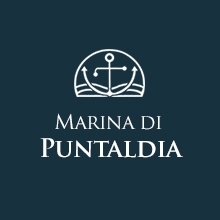 Marina di Puntaldia is much more than a turistic harbour: upon arrival you will be welcomed by a residential complex of Puntaldia which offers a wide range of services, such as Coffee shop - Ice-cream parlor - Restaurants - Tobacco shop - Shops - Supermarket - Laundry - Doctor - ATM - Tennis - Swimming pool - Hotel Due Lune - Golf - Spa - Hair salon - Beautician - Concerts - Cinema - Amusement arcade - Beaches - Taxi - Sushi on wheels ... For further information, please ask the Management Office.